← Coca Cola and Goodness ? Not Really. I have not actively been taking photographs for more than a year now. For most people, most certainly for me, photography as a pastime works best when the mind is settled and has time to take time off. Mine hasn’t been over the past year or more, for various reasons, rigorous academic research I am sure has a lot to do with it. Hopefully I will be back to taking photographs like I once used to, I refer here to the frequency with which I actively went out to take photographs, and not the quality. 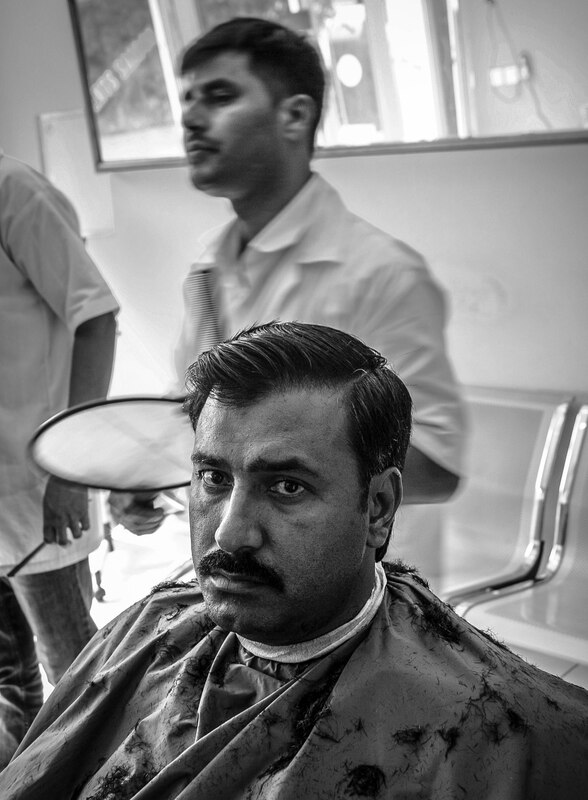 Hopefully this image above, taken when I wondered off into a cheap barber shop on a whim just to look someone in the eye and take a photograph is a start.